Explore 22 acres of private undeveloped forest and coastline while you stay in one of our 15 walk-in waterfront and forest campsites. A stunning 1.4km trail through the forest and along the waterfront. Find 3 tree swings along the way! There are No Refunds for early departures, no shows or for reservations which include holiday weekends. Come check out our one-of-a-kind outdoor tree shower! 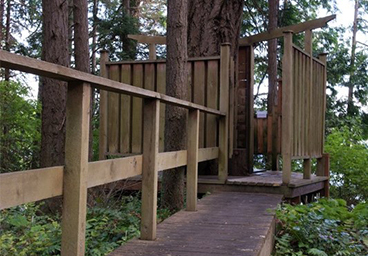 Come stay in one of our fifteen beautiful walk-in waterfront and forest campsites. 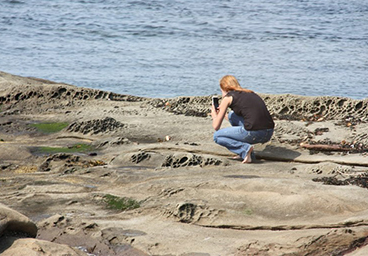 Take a walk down to the beach to explore the tidal pools! 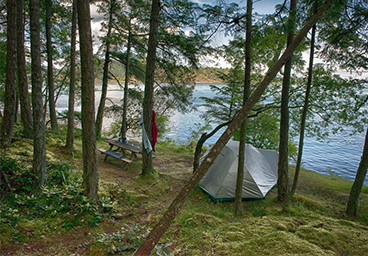 © Mayne Island Camping. All rights reserved.